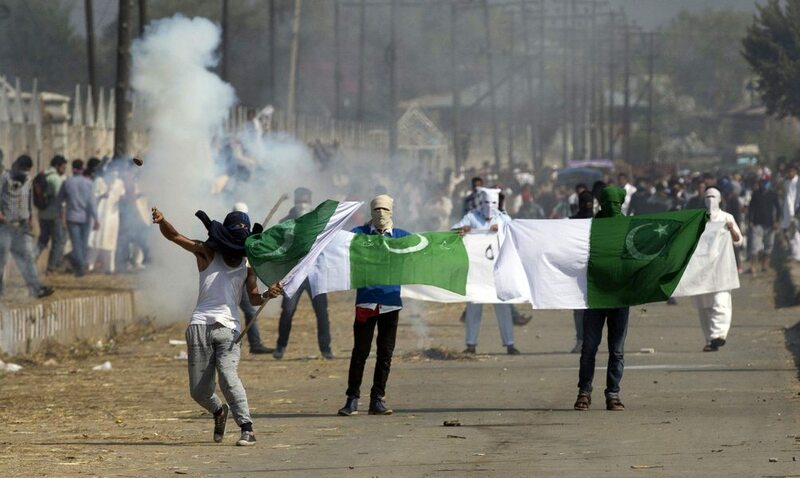 The youth of Indian-Administered Kashmir protesting against Indian Authorities and chanting slogans of Freedom from India. SRINAGAR - Protests flared in parts of Indian Occupied Kashmir on Tuesday after police said a man being questioned in connection with a security investigation had died in custody, the latest disturbances in one of the world’s most militarized regions. The dead man, Rizwan Asad Pandit, a chemistry graduate who taught at a private school, according to his family, had been arrested as part of a “criminal case investigation”, a police spokesman said. Pandit’s brother, Zulkarnain Asad Pandit, was skeptical that any investigation would reveal the truth. Protesters threw stones at police in several parts of the Muslim-majority region following news of Pandit’s death, with shops shutting in parts of the main city of Srinagar. Police responded with tear gas and pellet guns. Tensions between nuclear-armed India and Pakistan, which both claim Kashmir in full but rule it in part, escalated dramatically after a suicide car bomb killed at least 40 Indian paramilitary police on Feb. 14. A Kashmir-based militant group claimed responsibility for the bomb. Pakistan denied any involvement but India has long accused its western neighbor of backing separatist militants fighting security forces in its part of Kashmir. In response to the bomb, Indian fighters jets entered the Pakistani territory, what it said was a militant camp in Pakistan. Pakistan denied any militant camp was in the area and said the Indian bombs exploded on an unoccupied hillside. The next day, Indian and Pakistani warplanes engaged in a dogfight over Kashmir. Pakistan shot downed two Indian planes (1 Mig-21 and 1 Su-30MKI) and captured one of its pilot after he ejected over Pakistani Azad Kashmir. The Indian government recently banned the group which it accuses of having links to militant organizations but provided no facts or proof. The security forces have arrested hundreds of JeI members since the Feb. 14 bomb attack. The group denies it is linked to militants or any organization. Several prominent political figures in Kashmir condemned the death of the man.